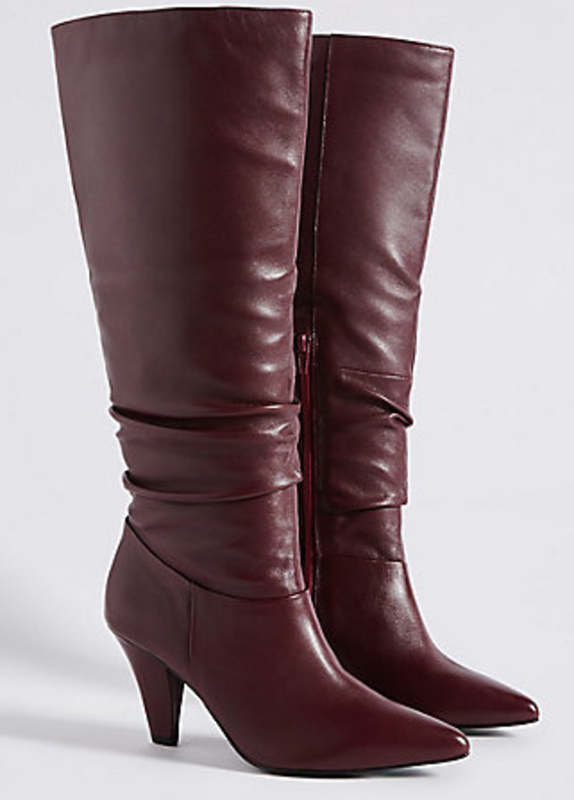 I’m not a huge fan of winter, but I do love winter boots! 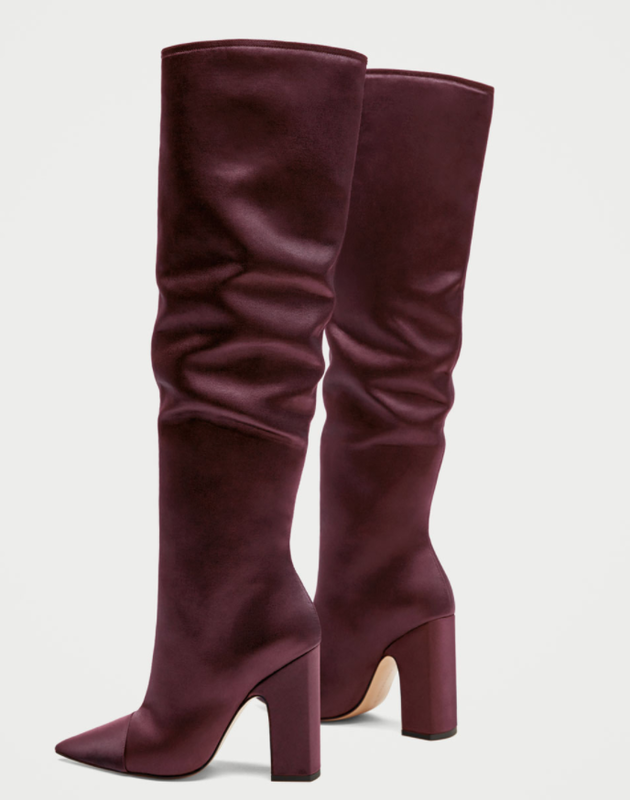 I saw these from a distance, I tried them on and I purchased them in less than 10 mins… you just know then that you have made a great purchase – no deliberating, trying them on several times, or looking at others boots. If you love what you see, and it fits, then get to the check out! 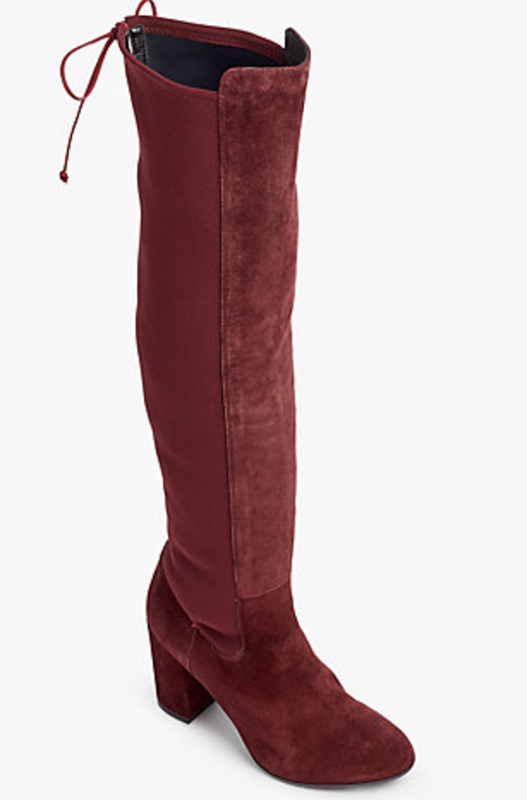 The stores have gone BOOT MAD – in fact do not be surprised if I write more than one post on boots between now and Christmas, there is so much choice this Autumn/Winter with lots of different styles, patterns, fabrics, colour and length, it’s a challenge just to know where to start! 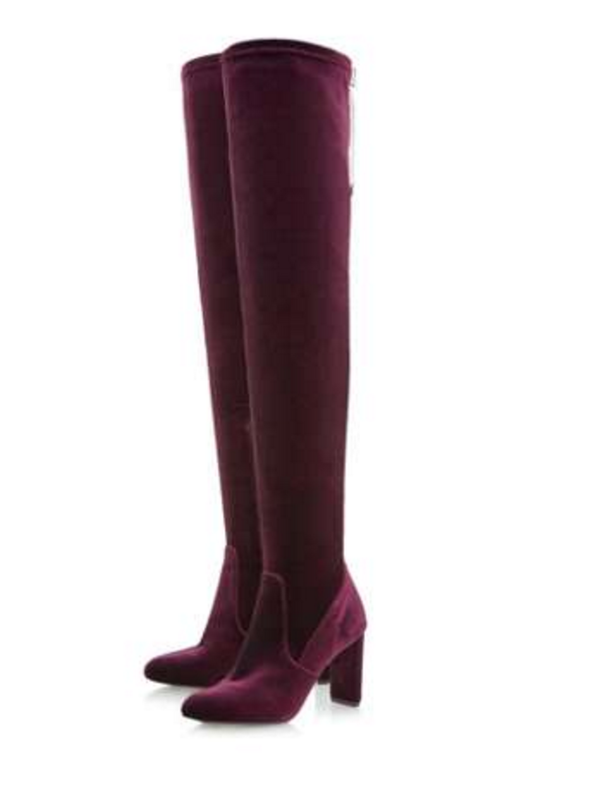 I took inspiration from my favourite icon, Victoria Beckham, after seeing her in this pink dress with burgundy long boots I knew this was the type of style I wanted to be seen in this winter – and with wearing them twice to work last week alone I think the cost per wear will be down to pennies! 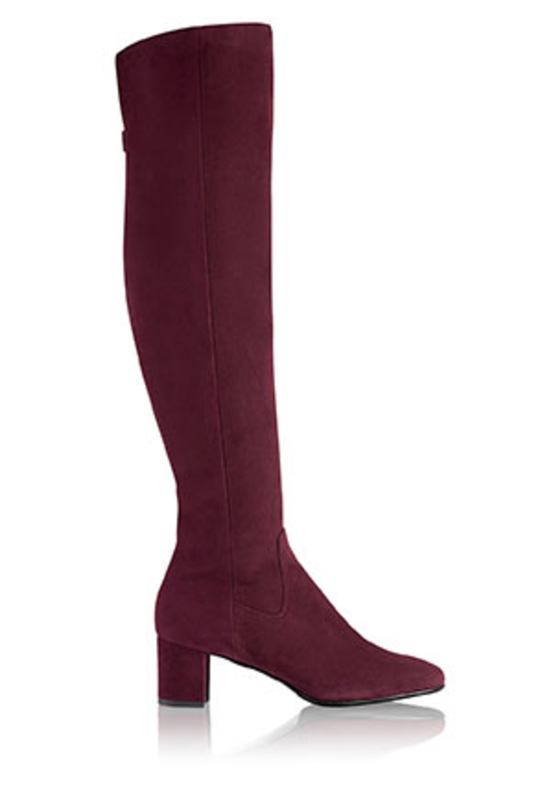 Burgundy boots are a great choice of colour to wear, and they come in lots of different shades. 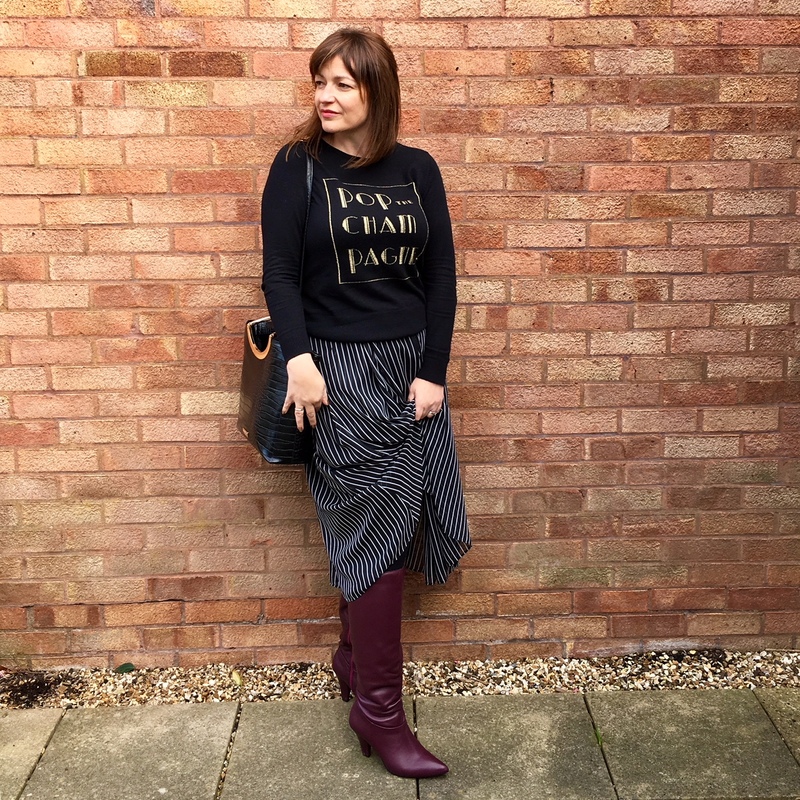 I’ve opted for this Berry shade as I have a few tops that I think will work well with it, plus a new day dress from Zara (coming soon on the blog!!) is pretty much a match. 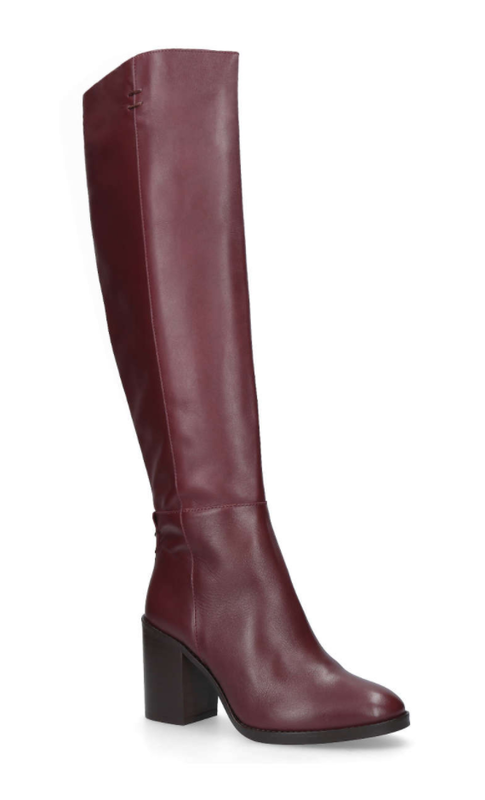 The post These burgundy boots are made for walking… was on Loved by Lizzi first. 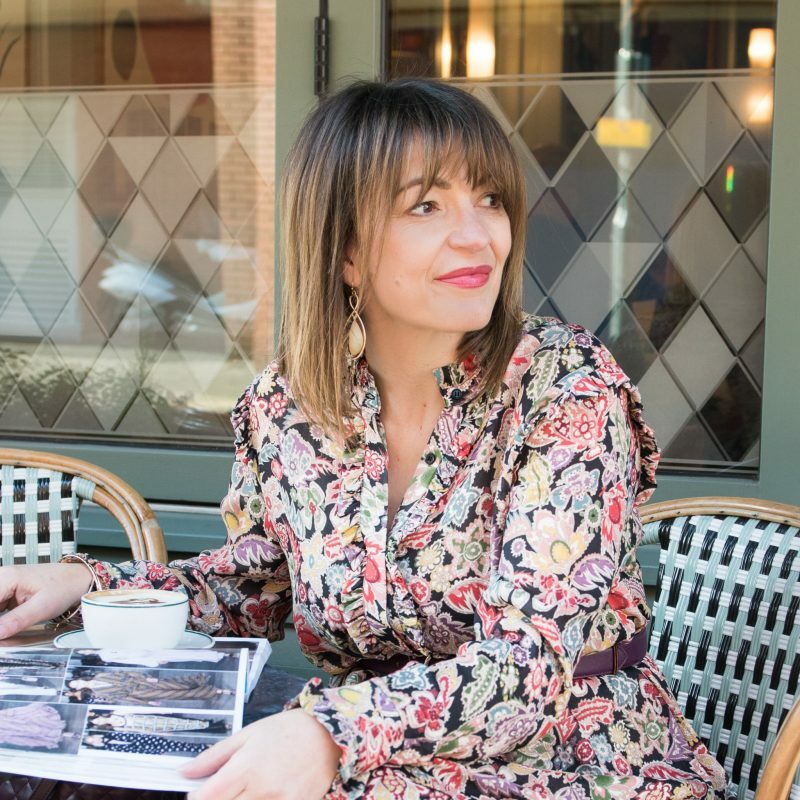 Next Post The Claudia Winkleman blouse and many more!